← Earache, and storm Kate. 8°C, clear, calm before the gales. Do women generate their own body-heat? It’s a problem that caused conflict with my ex many years ago. She wanted the house hot, I didn’t want to open the windows with the heating switched on. Sometimes, I had no choice. A little voice inside tells me it’s wrong to wear shorts in the house when the heating is on. That tells me the heating is set too high. This house has gas central heating, as most modern houses do. It’s insulation is not, however; the best. To set the scene now, I have two lodgers: both young, one male; the other, female. Both have said they are not cold with the house temperature as it is. 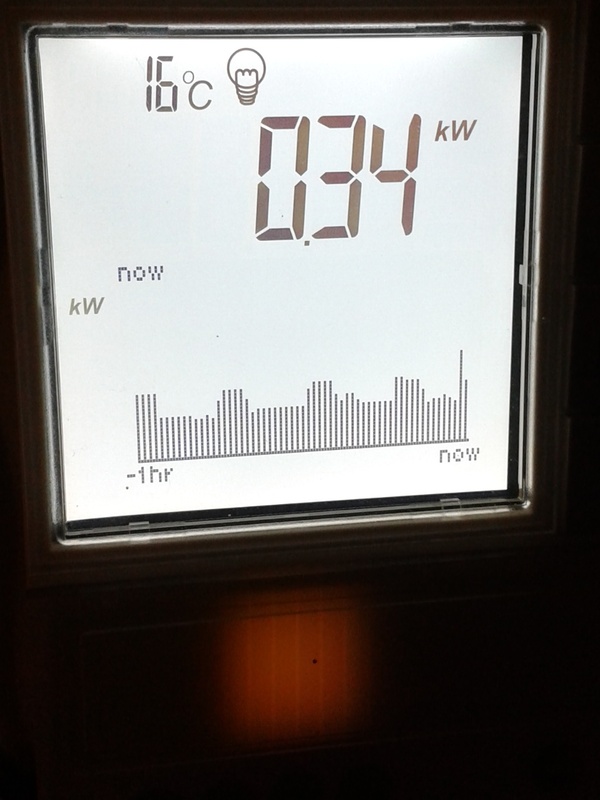 This picture is the smart meter at 7am this morning. Those pulses of electricity ran all night. It’s probably an electric heater. 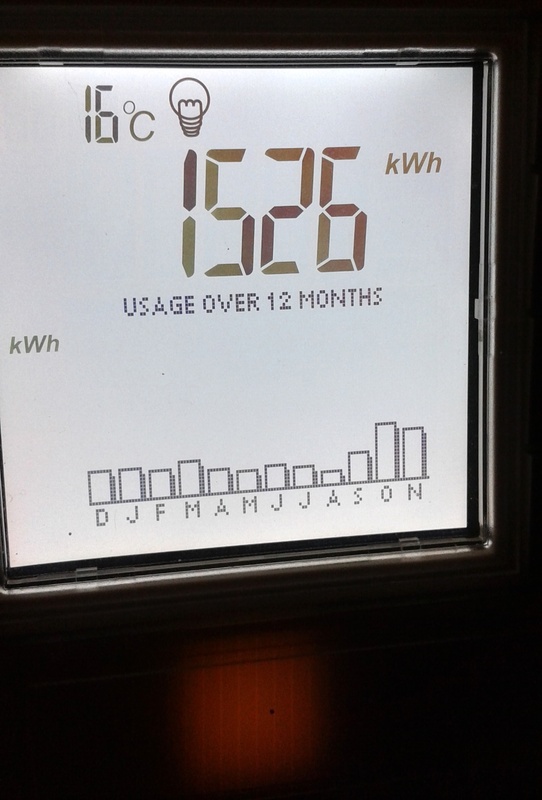 So far this month, the electricity consumption is double that of last year. The solution is to ask for a supplement for the heating bill (as agreed in the contract). It seems a shame to ask both of them because the guy is quite frugal with power consumption. Let’s see whether it’s the same tomorrow morning. It’s quite easy to forget to turn a heater off, especially those that do not have a built-in timer. This entry was posted in Home, lodgers and tagged heating, smart-meter.. Bookmark the permalink.